The letter, written by Gangabhishan Thavre from the Shetkari Sangharsh Samiti, said the inaccurate forecasts had led to severe crop loss. 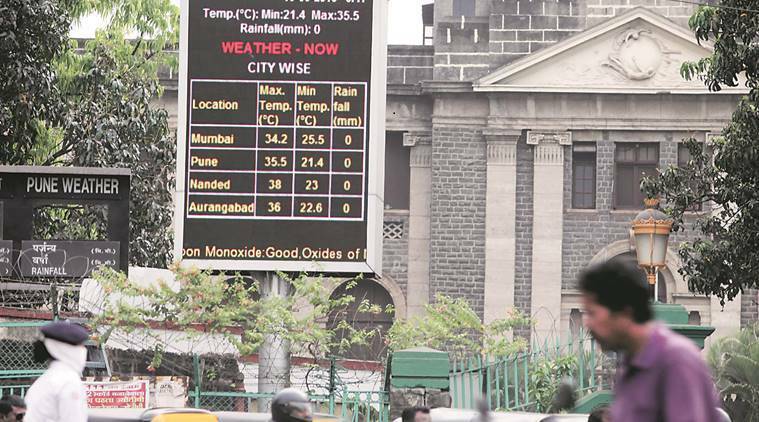 The India Meteorological Department (IMD) office in Pune has received a threat letter from a farmers’ welfare association based in Beed district, which accused IMD officials of making inaccurate forecasts during monsoon and threatened to “lock up” the officials. The letter, written by Gangabhishan Thavre from the Shetkari Sangharsh Samiti, said the inaccurate forecasts had led to severe crop loss. This is the second time in three months that Met. officials are facing the wrath of farmers from the Samiti. In August, a similar letter was sent to the IMD by the same organisation. “We had received a similar letter in August. The latest letter talks about locking up IMD officers on October 15,” said A K Srivastava, head of the climate monitoring and analysis group at IMD. The latest letter states that, as per the directives issued by Agrimet during the last monsoon, the farmers purchased cotton seeds, manure, pesticides, insecticides and carried out sowing activities in most parts of Marathwada during early monsoon season. But due to the absence of timely rainfall, they suffered heavy crop losses. “This year, again, the rainfall forecast has gone wrong and has resulted in Marathwada facing an acute drought situation. IMD must take… the responsibility of paying compensation to all the farmers,” it read. Thavre’s letter also accused the IMD of having close links with companies that sell pesticides, seeds and insecticides. “The two, together, forecast good rains so that farmers purchase all the required material, and the companies can make profits,” it stated.